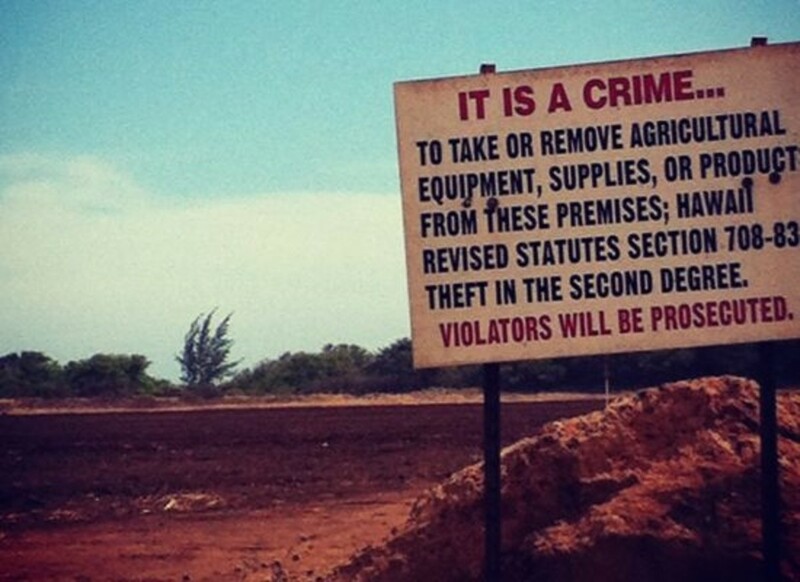 In June, 17 residents of Waimea, a small town on Kaua&apos;i&apos;s southwest corner, filed a lawsuit against Pioneer Hi-Bred and the landowner Gay & Robinson for failing to control pesticide contaminated dust and erosion directly related to the company&apos;s GMO test sites. 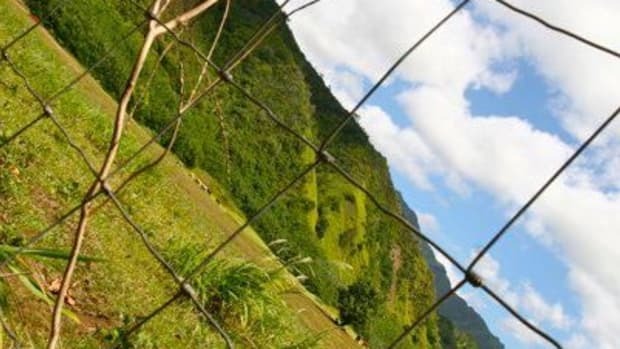 The south and west sides of Kaua&apos;i have been home to the world&apos;s largest open-air test fields of genetically modified organisms for nearly two decades. Taking over the land once dominated by a thriving sugarcane industry, DuPont, Pioneer, Syngenta, Dow, BASF and Monsanto now crowd the tiny island&apos;s once pristine landscape with fields of experimental genetically modified crops including corn, soy and sunflowers treated with a variety of experimental pesticide cocktails. 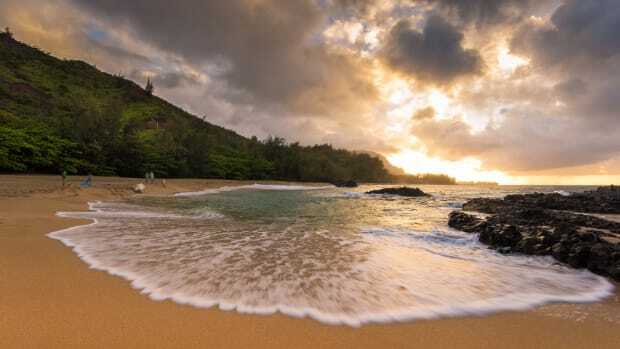 Kaua&apos;i&apos;s idyllic climate allows the biotech companies to get 3-4 planting seasons in every year. The Waimea suit follows a similar lawsuit filed in May on behalf of nearly 200 individuals with related complaints against Pioneer&apos;s use of pesticides, which the plaintiffs say have not been controlled and are polluting the Waimea river, contaminating the area&apos;s coastline and reefs and endangering human health. But Pioneer maintains that it has done nothing wrong and is compliant with regulations that residents say are continually violated by the company. 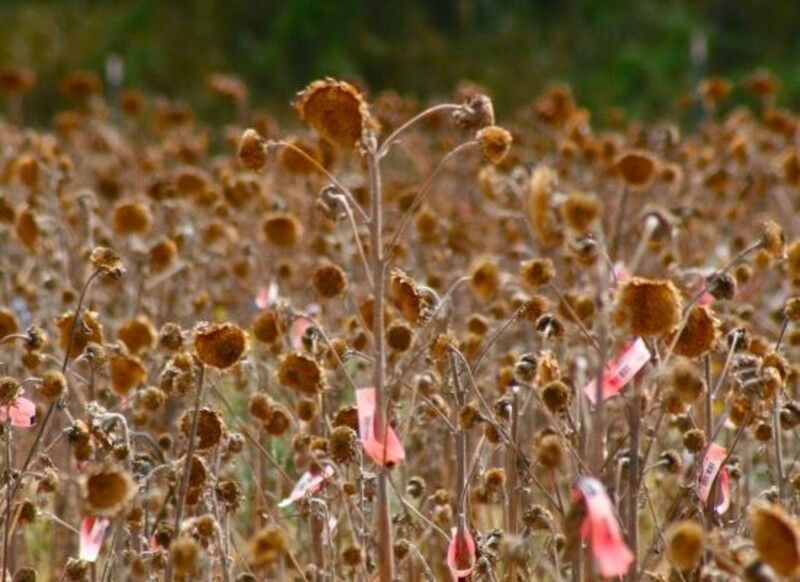 Local area farmers report that their non-GMO crops are being affected by crop drift and pesticides, and that the local bee populations are decreasing as a result of the chemicals. Jeri DiPietro is President of the Board at GMO-Free Kaui&apos;i, a grassroots non-profit working to educate islanders about the risks the GMO test sites bring to the island. According to DiPietro, some of the experiments involve a number of crops being engineered with human genes including corn, sugarcane and rice. 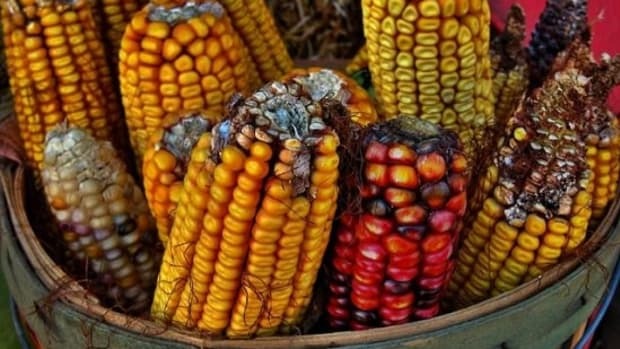 The companies are also testing genetically engineered crops for use in pharmaceuticals as well as in seed production for use in livestock and human food. 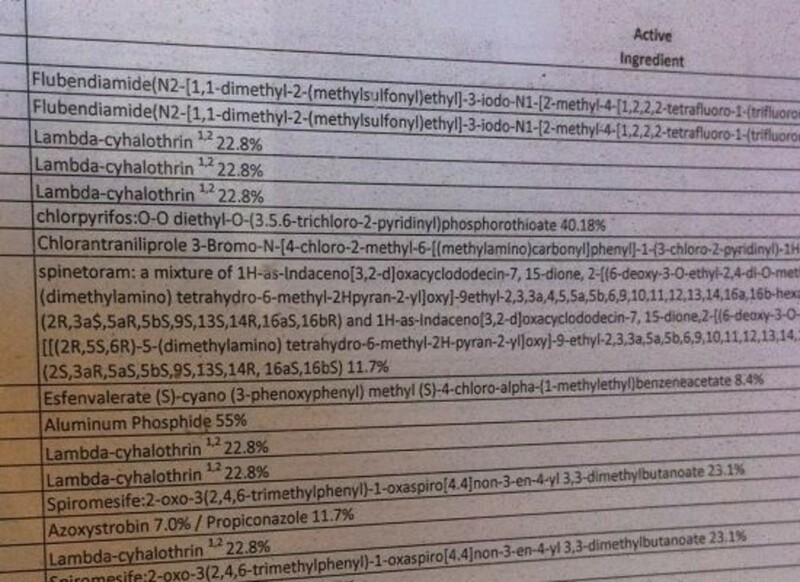 And the chemicals, toxic by themselves, are being mixed in combinations that have never been tested for human safety. The number of chemicals used on Kaua&apos;i on a regular basis--including glyphosate, 2-4 D, dicamba, atrazine and clorpirifos--totals more than 70. 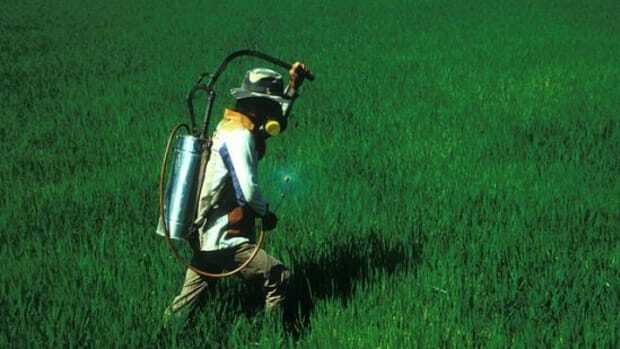 Lack of any disclosure laws and minimal regulations allow the companies to spray constantly and without restraint. Unlike the mainland, there&apos;s no out of sight spot on Kaua&apos;i&apos;s 562.3 square miles, save the impenetrable forested mountain range that separates the north from the south. A drive along route 50 reveals field after field of tagged and unnaturally perfect rows of genetically modified crops. Few cars are seen on the road besides biotech company-owned vehicles. It&apos;s a barren, dead looking wasteland compared to the rest of the island&apos;s lushness. &apos;Chemigation&apos; systems spray mixtures of water and pesticides on otherwise empty fields, clearing the way to sterilize the soil for more test crops. The air smells acrid and stale despite the constant breeze blowing in from the Pacific Ocean just feet away from the experiments. There are now 40,000 to 60,000 acres of GMO fields planted in Hawai&apos;i—many within several hundred feet of schools. In Waimea, where a middle school backs up to a field of GMO crops, several students recently became severely sick, says DiPietro. 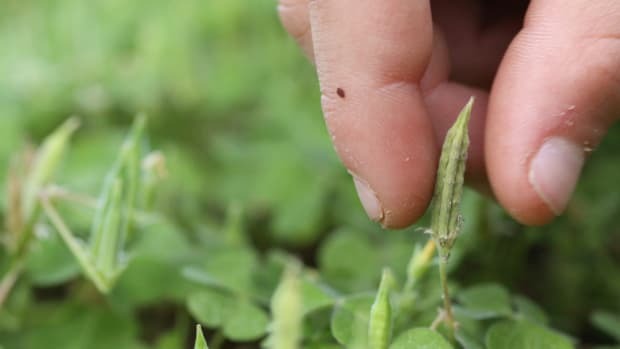 The industry tried to blame it on stinkweed plants that mysteriously appeared after the illnesses were reported, but residents say it’s the test fields that are drifting pesticides right into the school&apos;s air and water supply. The documentary "Stop Monsanto From Poisoning Hawai&apos;i: Genetic Engineering Chemical Warfare" was released for free on Youtube in June and details the sprawl of GMOs across all of Hawai&apos;i&apos;s islands, urging action against the Kamehameha school system, the richest private trust in the world and the state&apos;s largest private land owner with 363,000 acres throughout Hawai&apos;i. Kamehamehea leases property to biotech companies and the film suggests that pressure on Kamehameha could stop the spread of GMOs in Hawai&apos;i. "Kamehameha Schools has been leasing land to biotech firms for unregulated open-field propagation of GMOs for years without any public discussion or disclosure," says Makana, musician, food producer, community builder, and member of Hawai&apos;i GMO Justice. "[I]t is virtually impossible to find non-GMO papayas. The genetically engineered papaya trees have pollinated practically all papaya trees in the state," says Makana, who grew up on Oahu. "This is a serious change to one of Hawai&apos;i&apos;s major crops." And the same goes for Hawaiian corn, adds Makana, "most of the local corn growers have been bought out or squeezed out and it is very difficult to locate non-GMO "Kahuku" corn, as we call it." From the genetically modified corn and papayas dominating the big island and cross-pollinating with conventional crops, to the acres of GMO fields near schools on Oahu, Kaua&apos;i&apos;s test sites are just some of the many challenges the world&apos;s favorite vacation spot is facing as a result of genetic engineering. In fact, it&apos;s Hawai&apos;i&apos;s designation as Paradise that may be the reason the biotech industry is getting away with such unbelievable attacks of Hawaiian land. 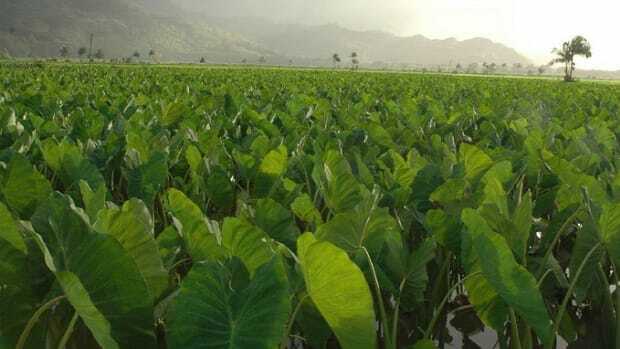 "Hawai&apos;i is the largest exporter of genetically-engineered seeds in the world, a fact of which the majority of Hawai&apos;i residents remain unaware," says Makana. And it&apos;s even harder for the rest of the world to imagine anything other than a perfect life for people who live on Hawai&apos;i. Despite the growing number of Hawaiian residents becoming incensed over the biotech industry&apos;s assaults, their sheer lack of numbers (only about 60,000 residents on Kaua&apos;i) make it difficult to battle the massive marketing budgets of companies like Monsanto, Pioneer and DuPont. The industry has infiltrated the state&apos;s politics and bureaucracy, scoring favors from lenient laws and tax breaks that even help to fund their experiments. According to Makana, "there are no measures being brought forth in the political realm that could help protect Hawai&apos;i from further influence by these companies. In fact, the opposite is occurring." And in true Aloha spirit, many residents avoid addressing such contentious issues with outright confrontation. Makana says that Hawai&apos;i&apos;s governor, Neil Abercrombie, has publicly stated his undying support for GMOs in Hawai&apos;i, going so far as to envision &apos;Biotech Ahupua&apos;as&apos; (an ahupua&apos;a is an ancient, traditional Hawaiian method of land management in which parcels of land include both mountain and ocean resources, and in which biodiversity determines management practices of natural resource). Food has long been a polarizing issue for Hawaiians. More than 90 percent of the islands&apos; food is imported from the mainland. Less than 3 percent of the state&apos;s agricultural land is growing organic crops versus more than five percent designated for GMOs. And the areas supporting biotech experimentation could be converted into healthy farming land for organic or conventional crops, helping to provide the island with more food security and less expensive food options, says DiPietro, who grows much of her own food. But according to Makana, Hawai&apos;i&apos;s Senator Will Espero introduced a "food security" bill that would "require Monsanto and other biotech firms to be responsible for feeding Hawai&apos;i in the event of a statewide shipping quarantine." 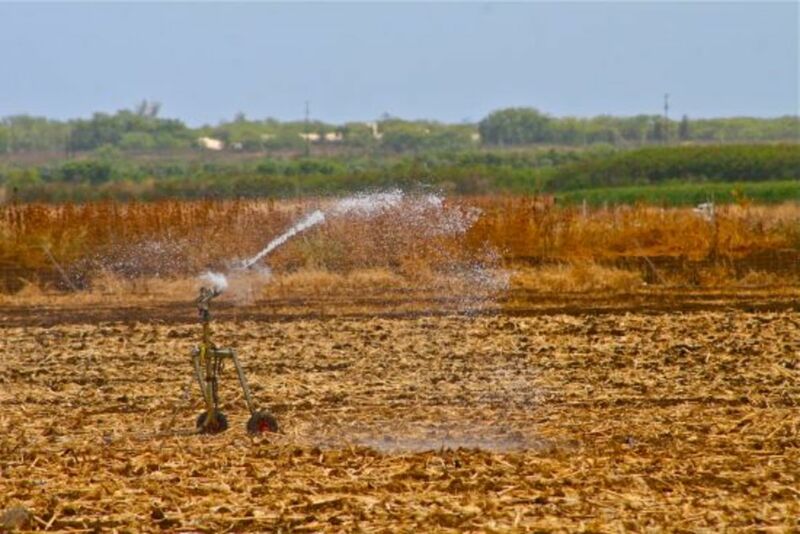 While many residents of Waimea have suffered illnesses, including cancer, as a result of Pioneer&apos;s alleged negligence, they&apos;re hopeful the situation can shed light on the issues surrounding the experimental biotech crops and pesticides. If more residents become aware of the issues, DiPietro says they&apos;ll be morel likely to take action, too, like attending public hearings and discussions about the experiments. A recent undercover video reveals shocking footage taken at a public discussion with biotech manufacturers, including Syngenta, that heavily favored the company&apos;s positions and restricted community members from participating. Besides banning photography and filming, residents were not allowed to ask their questions to the company representatives directly—they had to be written down and read by the meeting host. Attendees were limited from even responding to the companies&apos; answers or speaking freely on virtually any issues. 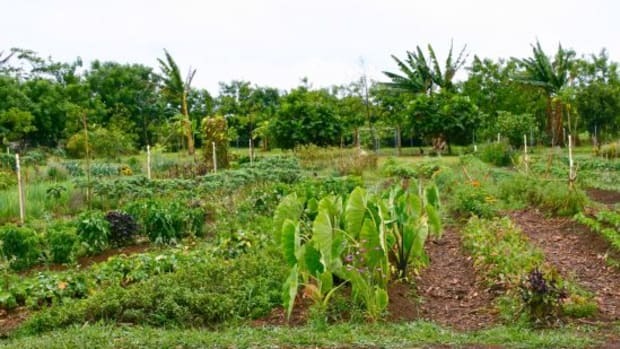 Still, despite the challenges Hawaiians are facing, that miniscule percentage of land going to organic farming is creating a very hopeful movement on the islands. Tune in for part two of this story as we explore Kaua&apos;i&apos;s north shore where organic farms are thriving and enlivening both the sacred land and the people of Hawai&apos;i. 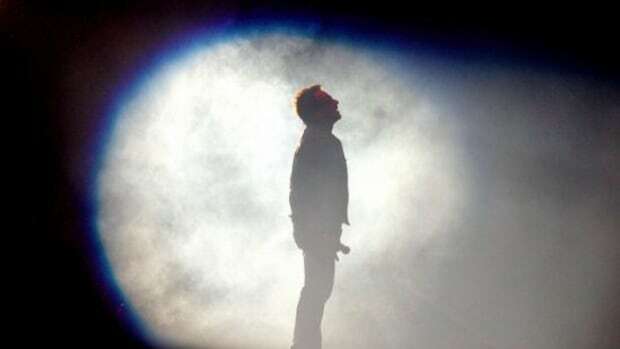 Why is Bono Supporting G8's GMO Initiative for Africa?